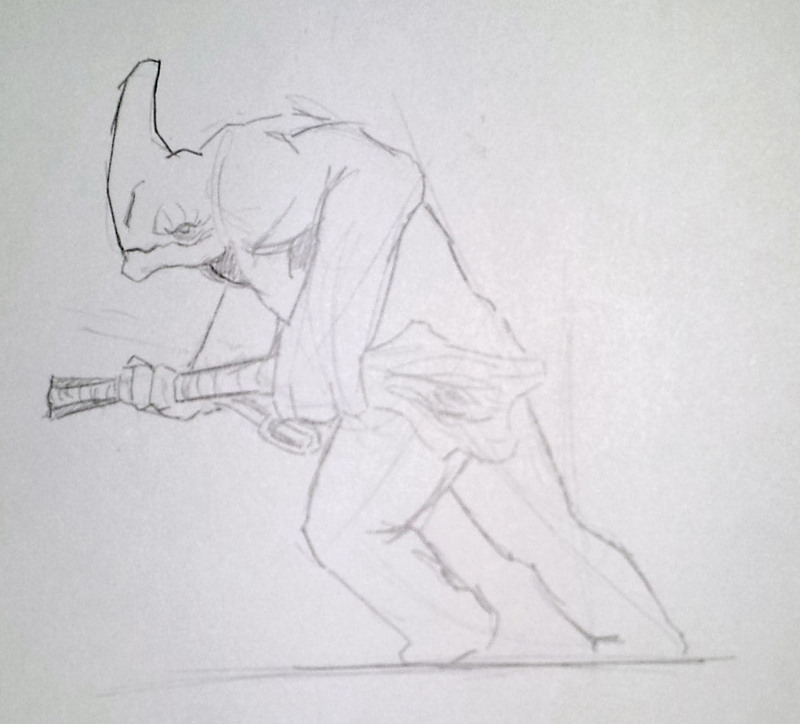 This week on the Art Dump I have some simple One Horn sketches to show off. We’re getting fairly set on the look of the Rhorlans along with their shape and size, so its beginning to get down to the nitty gritty details now. Which is why I’ve started to draw armour on them and look at poses. Up first is a simple running pose. Nothing too special about this chap but at least he looks like he is doing something other than standing there looking smug. Up second is a slightly more detail One Horn. 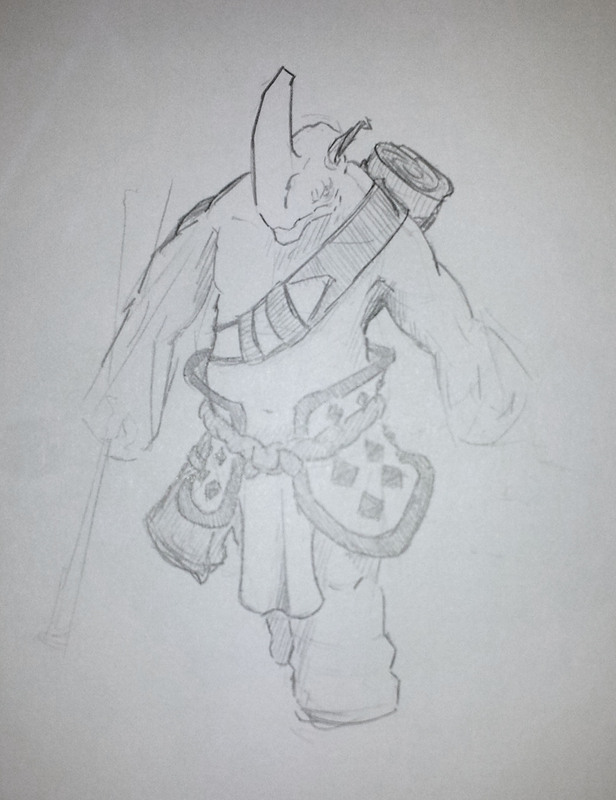 If you remember some of the earlier Two Horn sketches I have been working on then the armour will look familiar. Since the One Horn are the male counterparts of the Two Horns, I figured they should probably dress or feel quite similar, hence the flared armour with a belt or cloth tie. 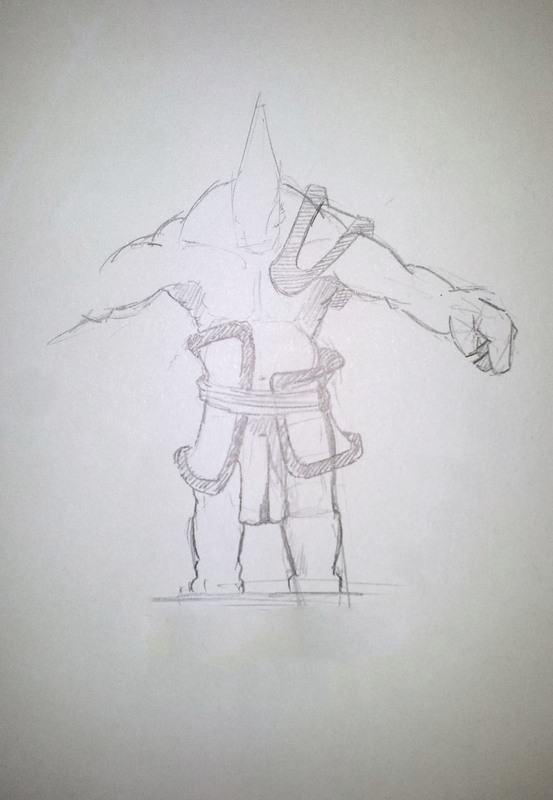 And since the upper body was looking rather sparse I threw in a belt with attached supplies on his back. Knowing the world, level of technology and what they will be doing, he will probably end up with some sort of shirt or at least a vest, but showing off his muscles seems like a cool idea for the sculpt. Finally we have a quick doodle looking at an A-symmetrical armour arrangement. Its not bad but I’m not sure it works, aside from the practicality of it.